OK everyone, Hang on to yourself! 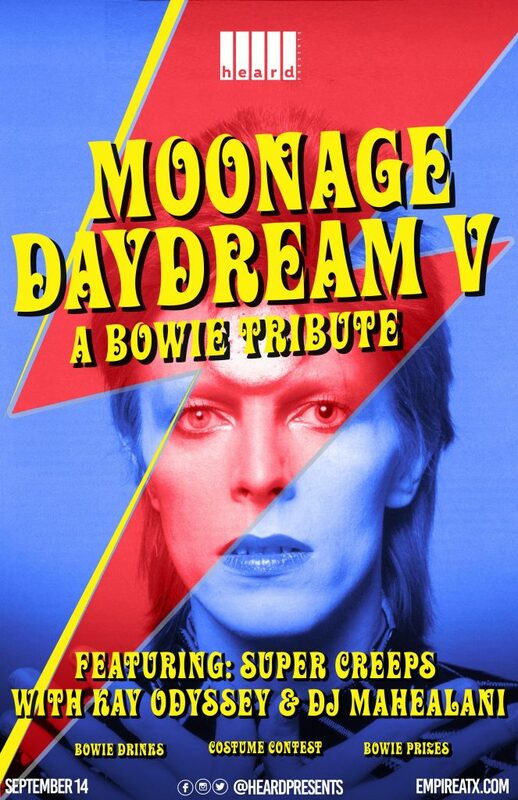 Moonage Daydream party is back for the fourth year and it’s a tribute to our favorite Spaceman! Just as you hoped, we are bringing back all your favorites! Get dressed up as your favorite Bowie creature and be showered in glitter drinks, costume contest prizes, GLAMour Shots Photo Booth, and the many sights and sounds of our beloved alien.